It's resort time! 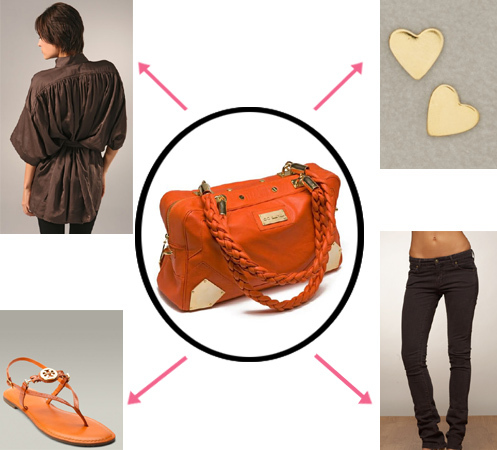 If you're lucky enough (or wealthy enough) to go somewhere exotic, the CC Skye 'Lucy' Bag, ($795) is the perfect punchy resort bag! 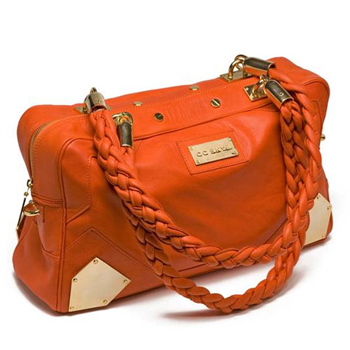 Bright orange leather looks glam with gold metal plates and studs, and the braided leather handles give it a casual, carefree feel.